Along with a Xbox 360 and PS3 release Terraria will be coming to the Playstation Vita this summer. 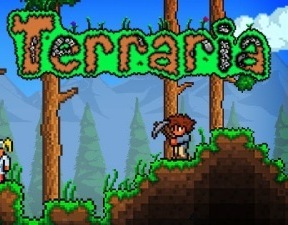 "We are tremendously excited about bringing Terraria to PS Vita. It's fantastic news for fans who have been begging for the game to be available on PS Vita and it's fantastic news for us too, we are delighted about the addition to the platform. For us this is a real coup, the opportunity to bring such a loved game to one of our platforms is really exciting. We are also really confident about how much fans are going to love the PS Vita version; the touch screen will ensure a totally unique experience." Let us know what you think of Terraria in the comments below!